NASHVILLE, TN — The Metropolitan Nashville Airport Authority (MNAA) is committed to its important role as an economic engine for Middle Tennessee, promoting opportunities for both large and small businesses to work at Nashville International Airport (BNA) and John C. Tune Airport (JWN). Key to this effort is Davita Taylor, MNAA chief of staff, Board liaison and director of Business Diversity Development. Davita leads the initiatives to assist small and diverse businesses reach new heights through the construction and professional services contracts that are always a part of a busy airport and are increasing as BNA undertakes major growth and expansion. Taylor joined MNAA in 2008 and was recently named chief of staff and liaison to the airport’s board of commissioners. . In these roles, she works closely with MNAA President and CEO Rob Wigington and the Airport Authority’s Board of Commissioners to coordinate and support MNAA’s strategic direction and objectives. But Davita’s influence goes beyond her role as chief as staff. 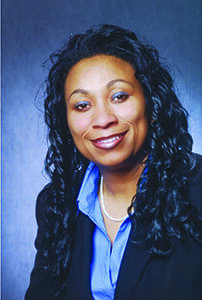 She is also director of MNAA’s Business Diversity Development office, where Taylor effectively pursues the participation of diverse businesses in contracts at the airport through the Small, Minority and Woman-Owned Business Enterprise (SMWBE) program and the Disadvantaged Business Enterprise (DBE) program. Taylor’s expanded responsibilities give her the opportunity to apply her tenacity in promoting business diversity to MNAA’s overall outlook for the future. A Tennessee native, Taylor has seen Nashville’s population boom and reputation expand to its status as a national and international destination for both short-term visitors and those who call the city home. Through her leadership roles with Rutherford Cable, Nashville Minority Business Center, Nashville Black Chamber of Commerce and the Tennessee Latin American Chamber of Commerce, she understands the role every community partner plays in driving and supporting Nashville’s unprecedented growth. For MNAA, this means staying in front of Nashville’s growth. Nashville International Airport is the fourth fastest growing airport in North America, and each month, quarter, and year that passes breaks another record for number of travelers coming into and out of BNA. MNAA is committed to maintaining BNA as a world-class airport and one that is representative of Nashville’s growth and international acclaim, which is why MNAA recently unveiled BNA Vision, the dynamic growth and expansion plan for Nashville International Airport. • Multi-modal mass transportation options to connect the airport with downtown Nashville and other popular areas. The Business Diversity Development office regularly hosts and promotes networking opportunities for firms to learn more about doing business with MNAA and other contractors within the region. MNAA’s annual Business Taking Off event convenes potential contractors and subcontractors to learn about upcoming contracting opportunities and provides invaluable networking opportunities to discuss specialty areas and establish relationships with other contractors and subcontractors. Additionally, businesses can attend Billion Dollar Networking events, sponsored by MNAA. At these events, companies receive information on obtaining airport contracts, and qualified vendors learn how to submit for MNAA certification to participate in BNA Vision. The next Billion Dollar Networking event is May 11, 2017, at Refinery Nashville. To register, visit: www.eventbrite.com/e/billion-dollar-network-tickets-32062922063. Previous articleLessons Learned From My Father: Howard C. Gentry, Jr. and Howard E. Jones, Jr.